The Employers’ Association will host its Employment Law Conference, “Welcome to the Jungle”, March 18, 2016 at the Hilton Garden Inn, Levis Commons, Perrysburg, Ohio from 7:00 am – 3:30 pm. The conference will cover such topics as developments in immigration law, legalities of personal activities, disability management and reasonable accommodation, workplace investigations, discrimination, social media policies, and workplace wellness programs, as well as FMLA, ADA, FLSA, OSHA compliance, Worker’s Comp, and much more. 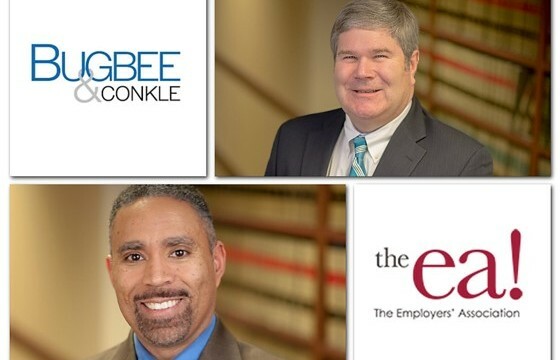 Robert Solt and Mark Barnes from Bugbee & Conkle will speak regarding “Scoping Out Worker’s Comp: What’s On The Horizon”. For more information or to register for this event, click here.